How to get there: See the description under Rondeslottet 2178 meter. Route description: This description starts from the saddle between Vinjeronden (2044m) and Storronden. In this way, one may climb Storronden on the return hike from Rondeslottet (2178m). From the saddle (1755m) head straight up the slope towards Storronden. It may be best to stay left, then move more to the right as you reach larger, broken rocks. The slope eases and the summit is soon there. The return hike to Rondvassbu is clearly marked with cairns and red "T"s, this route is straightforward directly down the west ridge. The first part of this route is (YDS) class 2, the normal route (the descent here) is class 1. 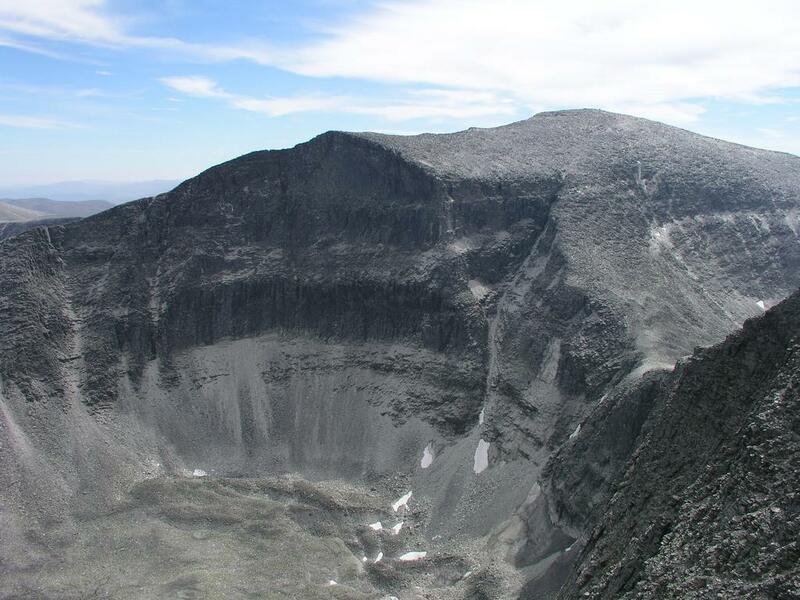 Comments: I climbed this mountain with my son Pål Jørgen, age 14. It was late in the day after a long hike, but our time from the saddle to the summit was still only 35 minutes. The descent along the normal route to Rondvassbu took a bit more than one hour. Storronden, as seen from Rondeslottet. 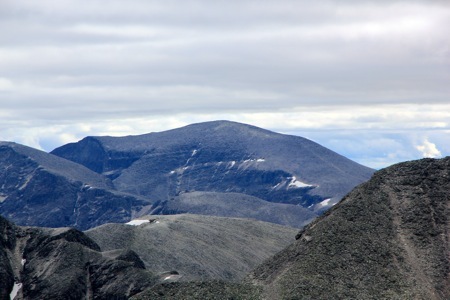 The ridge from Vinjeronden to the saddle and the slope of ascent as described can be seen. 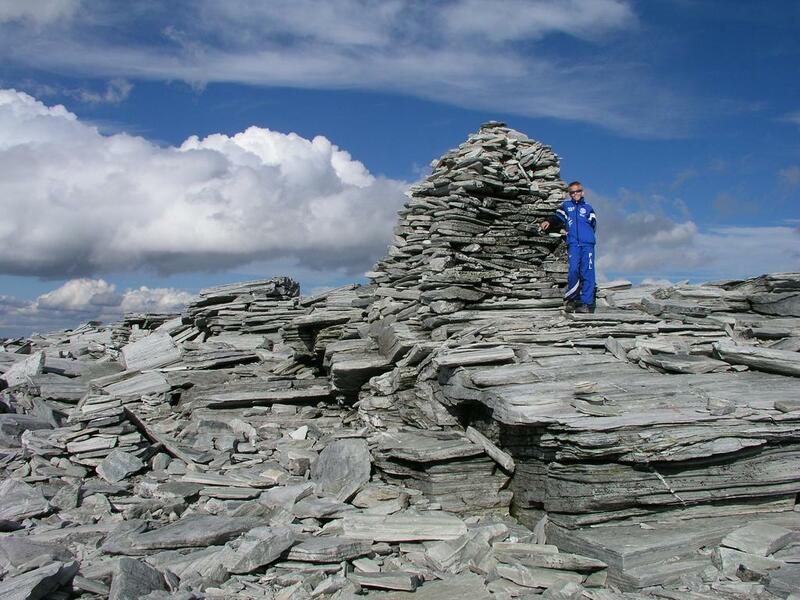 The Storronden cairn, Pål Jørgen enjoys the summit. 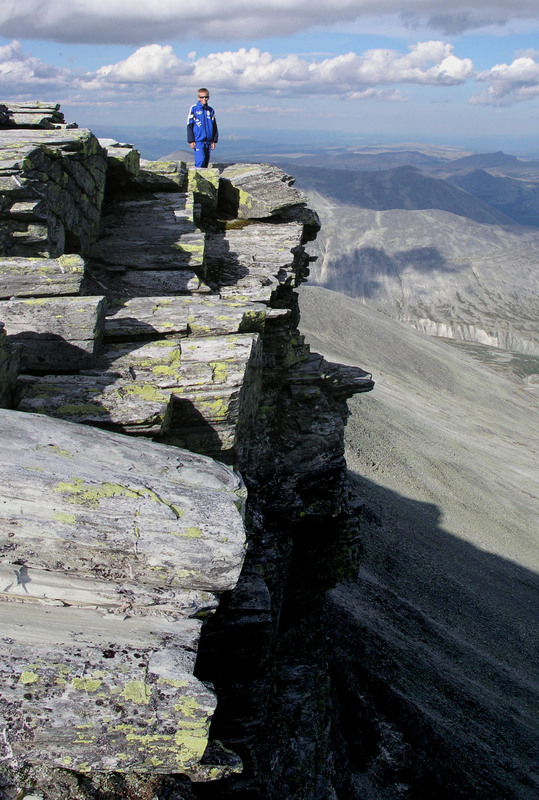 The east side of Storronden, Pål Jørgen checks the vertical drop.